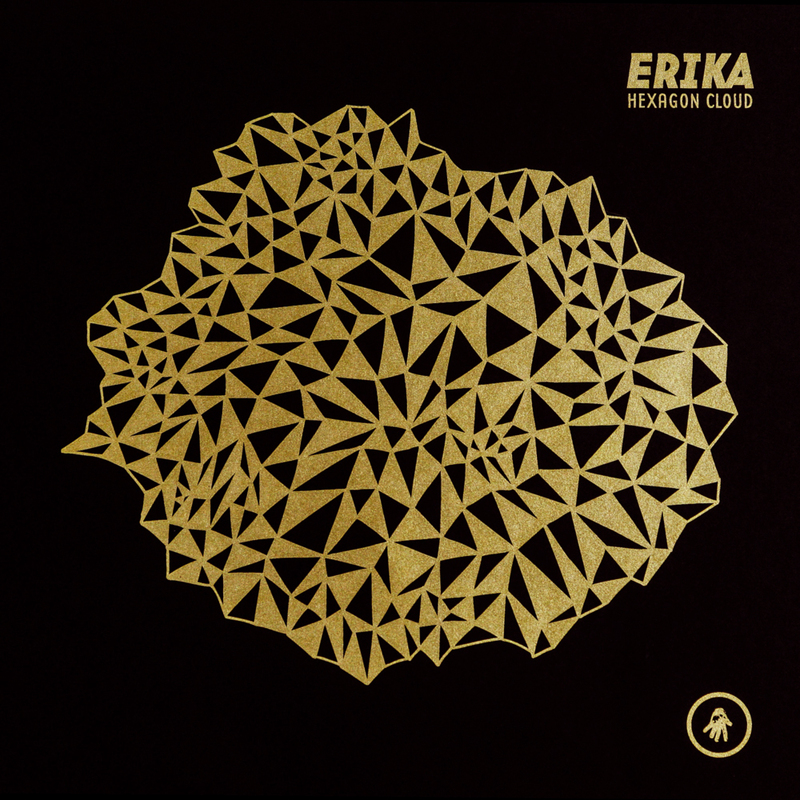 While "Hexagon Cloud" may be Erika's debut solo release, this is by no means her introduction to the scene. For years Erika has been a member of Ectomorph and co-conspirator of Interdimensional Transmissions, but since these projects play shadowy games with identity and perception, she may just need that introduction. Erika was raised in a household full of Science and Music. Growing up surrounded by discarded computers, she built her own machines and ran a BBS from her bedroom before she went to high school. Moving to Ann Arbor in 1993, she ran into the peripheries of Detroit's burgeoning underground electronic party scene via her involvement as a jazz DJ and Program Director at WCBN, the University of Michigan's student run radio station. Though she took formal piano lessons from a young age, it was her ability to tame machines that brought her invitation into Ectomorph in 1997. Her focus in Ectomorph was live analog synthesis and fluid improvisational interactions with Ectomorph & IT founder BMG. As Ectomorph evolved beyond the boundaries of the sullied word "Electro", Erika continued to work with BMG on his other projects, including keyboard work on the "Credit Card" single with Sal Principato. Through years of touring and throwing some of Detroit's finest underground parties, Erika grew and took shape as vinyl DJ and analog composer of her own right. Composing without the aid of a computer, Erika's system is centered around a rare highly flexible hardware sequencer. The ideas flowed quickly, and what began as an EP quickly blossomed into a double album with the aid of production from BMG. Science and music, dreams of space and microscopic organisms, mutation of plant life and the birth of stars, all come together effortlessly in her work to sound like post acid techno subterranean spelunking in a quest to return to the stars. Or at least to the northern "Hexagon Cloud" of Saturn. Catch Erika debuting the album live at this years' Movement festival, or perhaps in your home town.